Universal Orlando will be whipping up some magical holiday fun this year as they’ve just announced the Wizarding World of Harry Potter will be decked out for the Christmas season with special entertainment. New holiday food and drink items will be available throughout Hogsmeade and Diagon Alley while the Frog Choir serenades guests with festive songs. The celebration will include a nightly spell cast on Hogwarts, bringing candlelight and festive moments from the film to life on the castle walls. Universal is also introducing a Holiday Parade featuring Macy’s, with newly designed floats, festive balloons, and favorite Universal characters. Santa Claus will have to deal with Minions causing mayhem as he makes his way down the parade route. See the full announcement in the video below. 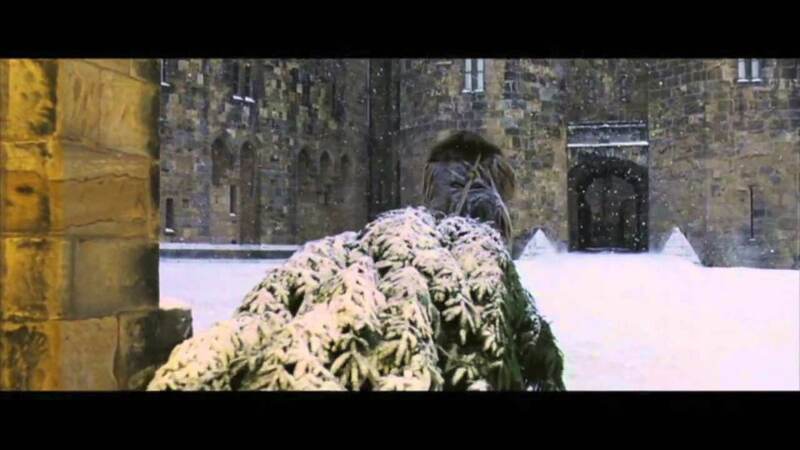 We’ve seen Christmas celebrated at Hogwarts in the films. Now this year fans will get to experience it in person. The celebrations will run daily from November 18, 2017 – January 6, 2018. No word as to whether Hagrid will be the one to drag in the Christmas tree, but more details and sneak peeks are expected as we get closer to the holiday season.